Meet Caitlin Turner, owner of The Yoga Spot. Check out her beautiful fliers, and what she had to say about them! 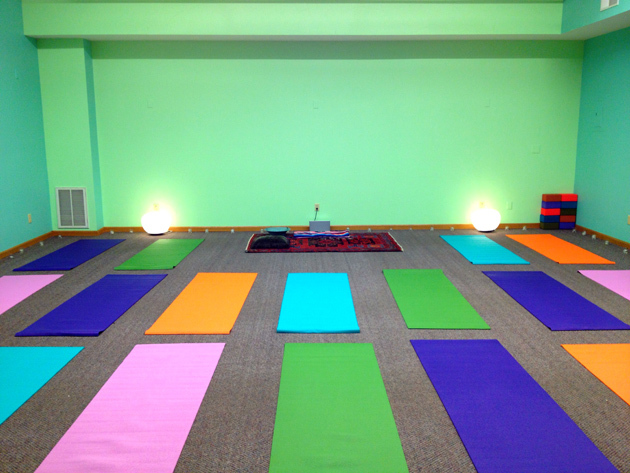 After teaching yoga classes at various studios for several years, I decided to take a leap and open my own yoga studio, the Yoga Spot, in Glen Arbor, Michigan. The studio opened July 1, 2012, which is quite recently. One might think that business would have started slowly, however this was not the case, thanks to SpeedySigns.com. I opened my business in less than a month, so things were constantly rushed to say the least. I thought it would be difficult to design my own flyers, but the SpeedySigns design template was intuitive and simple. Lucky for me, SpeedySigns.com was able to print and ship the flyers, quickly and efficiently. Once I had my flyers in hand, I gave them out to everyone I saw and left a stack in every business that I entered right up until my opening day. 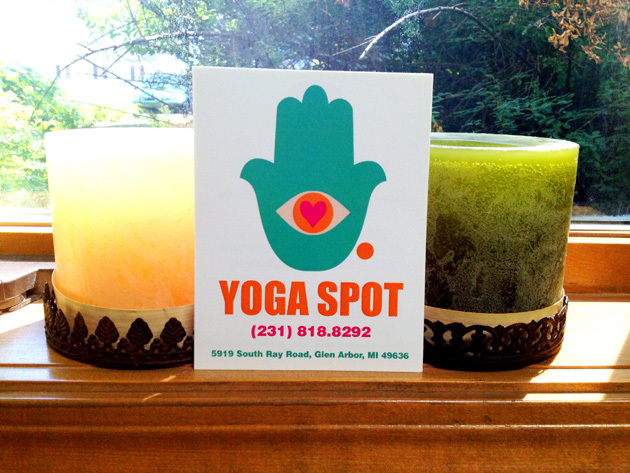 I only began distributing flyers 1 week before my opening day, and Yoga Spot has been open for only a week and a half now, but we already have a recognizable brand identity! 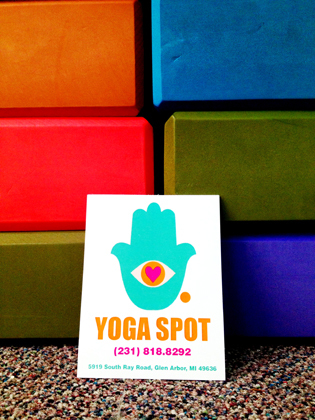 Almost every client comes to class and tells me the same thing: that after seeing my flyers everywhere they went, they decided they had to come in and check out the Yoga Spot. I’m tucked in the back corner of a shopping center, which isn’t the most obvious or noticeable location. However, clients have informed me that they have no problem finding the studio, because they recognize my logo and signage from the SpeedySigns flyers. It may be the Yoga Spot’s first week open, but I have had people showing up everyday, ready and willing to purchase classes and packages. I do not believe that I would have had the same positive response I have received, if I had not had the ability to efficiently and effectively promote my business with the SpeedySigns flyers. I expect the studio to keep growing, and I look forward to creating a vibrant and empowering yoga community in Glen Arbor, Michigan. We are overjoyed that we got to be a key role in the start of Caitlin’s business. Stories like this are what fuel us to be better at what we do each day. Learn more about Caitlin and what she does by clicking here! She’s got class information, merchandise and a blog! If you have a story like Caitlin’s and want to be featured in one of our Weekly Customer Spotlights, leave a comment below with your email, and we will happily contact you. Don’t have an awesome story yet? That’s o.k.! Let us help you achieve one. We promise to take care of all of your printing needs, whether it be fliers, vinyl banners, corrugated yard signs, and more! Just visit SpeedySigns.com and get started on your success story now!